An all natural blend of dark-fired Kentucky leaf, and ripe, red Virginia tobaccos, layered on a central core of golden flue-cured leaf, providing deep, earthy flavors with a hint of bright sweetness. The tobaccos are pressed and matured in cakes before being cut into 2oz blocks. JackKnife is a stout blend. The dark-fired leaf adds a subtle smokiness and a subtle finish reminiscent of dark chocolate, while the Virginia tobaccos provide a sturdy backbone. 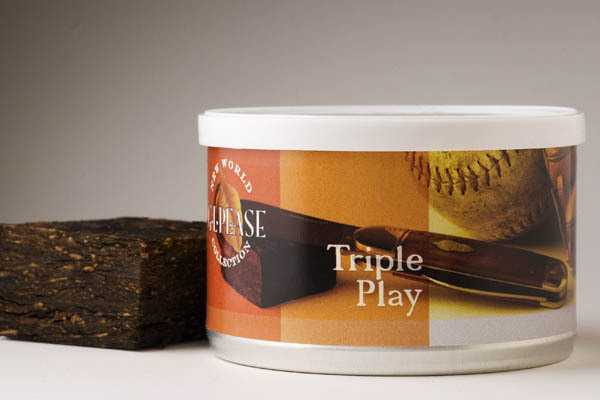 Once again, the leaf is pressed and matured in cakes before being cut into 2oz bars. 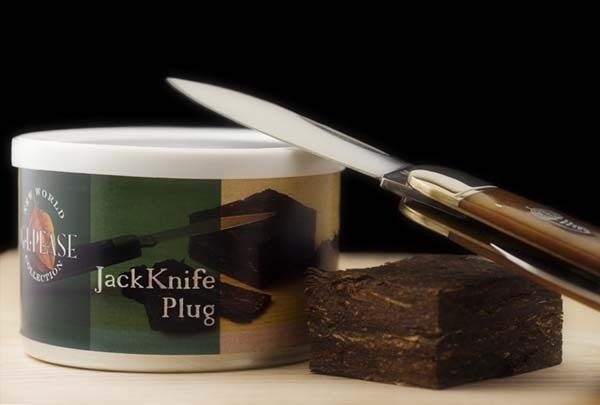 I think the results are fantastic, and this one will appeal to lovers of classic VA/perique blends, with the added fun of having it in plug form.